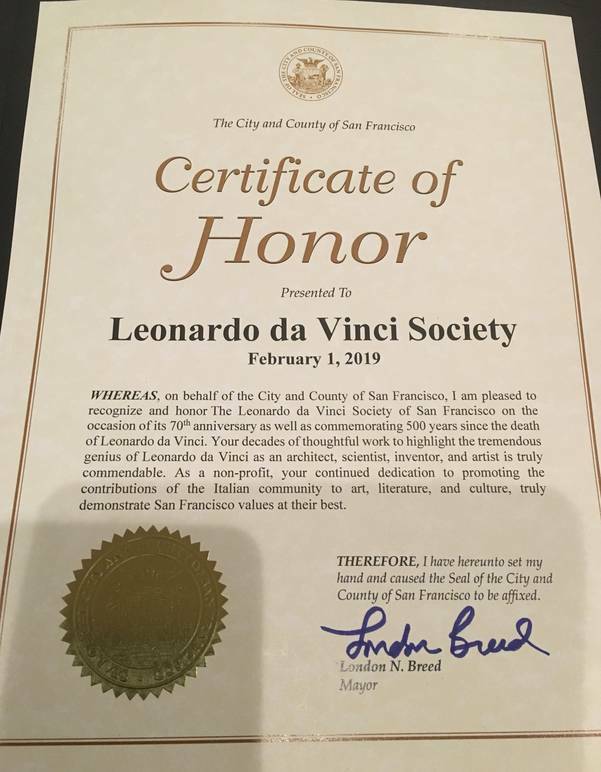 The Leonardo da Vinci Society of the Bay Area is celebrating its 70th Anniversary. Founded by Italiophiles who were captivated by Leonardo, the Society will be sponsoring and co-sponsoring a number of events honoring and co-memorating the 500th Anniversary of the Master’s death. 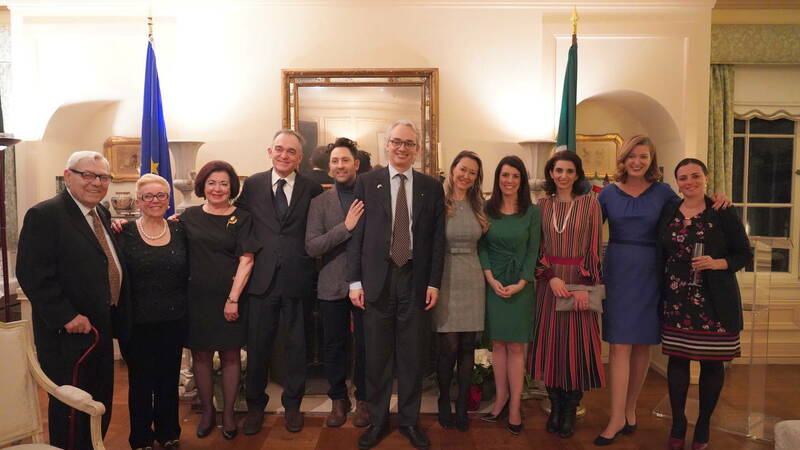 After World War II, three dynamic women with an infectious passion for Italian legacy in Arts, Music, Science, Literature, and a shared vision to promote a broader understanding and appreciation of these contributions in the US, joined together to form a non-profit, non-political, educational & social organization. In October 1949 Mrs. Dobbins (Ruth) D’Anneo, Countess Lilian Dandini, and Mrs. Louis (Maria Teresa) Piccirillo met to formally discuss organizing a Society that, at the suggestion of Mrs. Piccirillo, they named "The Leonardo da Vinci Society"​, after the universal renown Renaissance-Man. Dr. Lynn White, President of Mills College, accepted the role of the first President. It was their idea that these objectives might be achieved through the presentation of lectures, concerts, and exhibits. The first formal event was held in May 1951, at the dawn of the San Francisco Renaissance, when the Society invited new and potential members to view an exhibit of Italian handicrafts at the de Young Museum, followed by an afternoon concert. Dr. White opened the meeting with a short address on Leonardo da Vinci and the mission of the Society. In recent years, the Leonardo da Vinci Society has presented an array of Italian contemporary events in the field of Italian Language, Literature, Art, Science, Music, Cinema, ‘Made in Italy’ brand creations and Craftsmanship with distinguished guests such as writer Dacia Maraini, and computer scientist Federico Faggin, attracting new and younger members and audience. 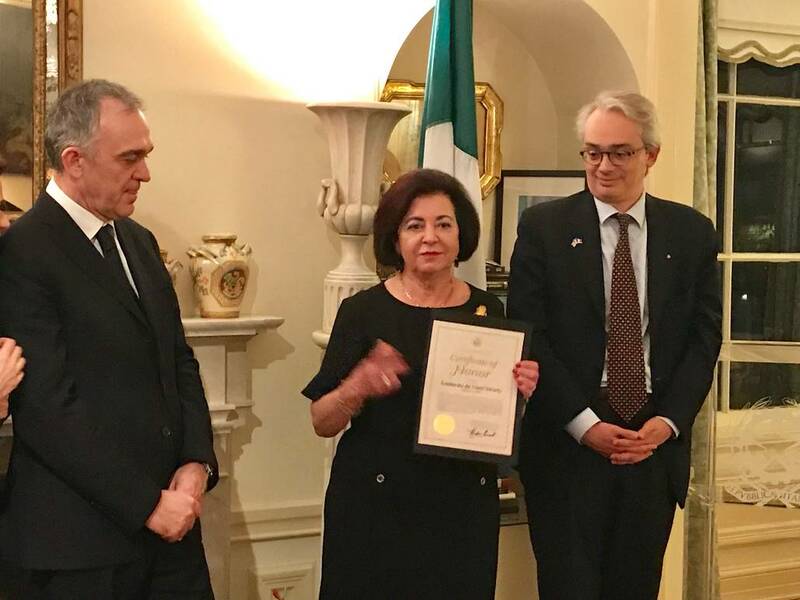 The Society since 2016 is listed in the Italian Embassy Registry of the Italian American Associations in the US and has a steady member in the COM.IT.ES. It is also part of the recently formed CIAO (Confederation of Italian American Organizations of the Bay Area). Today there couldn’t be a better Italian model in the San Francisco Bay Area and Silicon Valley than the unparalleled Leonardo Da Vinci — Absolutely, the most creative spirit and ante litteram pioneer, inventor, artist and engineer, a perfect blending of genius and talent, spanning from art and humanism to science, design, and technology. 2019 is a very special year. 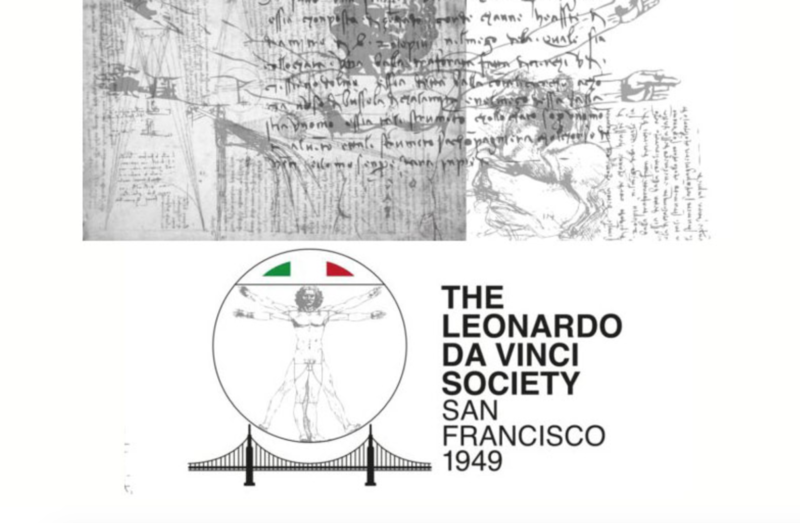 We will be celebrating the 500th Anniversary of Leonardo’s death (May 2, 1519), and also 70th Anniversary of the Leonardo da Vinci Society to promote 360 view of Italian culture in the US. We salute the visionary founders and the many members through the years who have worked for its continued success, inviting all ‘italophiles’ to join us in the legacy of the one-and-only Renaissance Man, Leonardo da Vinci.